We can refinish the tub, leaving it in place. The number one question we get is what is the cost? 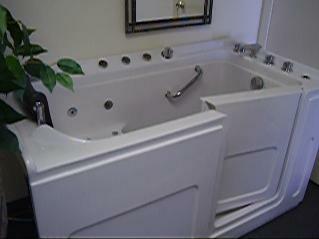 $295 (standard tub) is the cost for refinishing your tub. The number two question is does the process smell? Yes, and we use a fume exhumer, which handles most of the smells, and helps with dust. We specialize in cultured marble solutions. 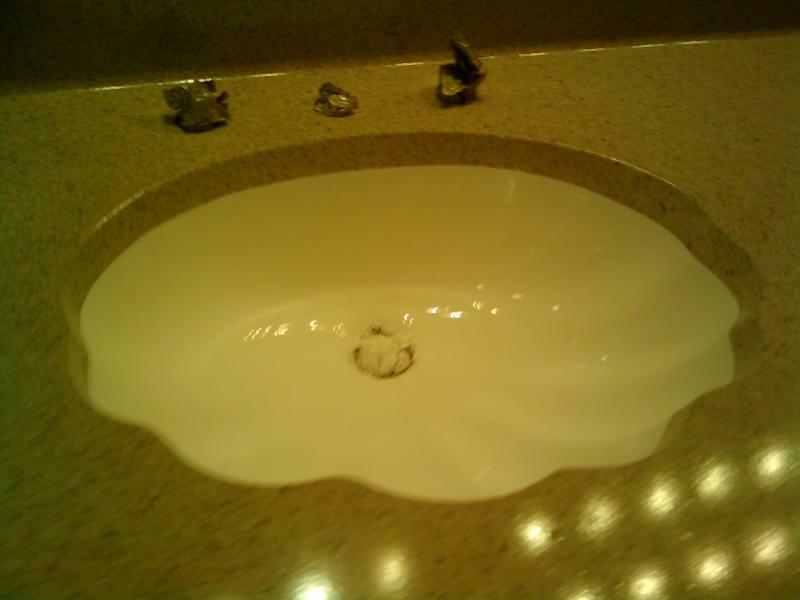 If you are bored of your cultured marble or have cracking in the drain we can fix this. We back our workmanship with a 5 year warranty. The owner must clean the tub and clear area. The technician removes the caulk if needed and cleans the tub with an industrial cleaner which cleans and etches the tub at the same time. Minor repairs are then done by the Technician. Then a heavy coat of a proprietary bonding agent is applied on the surface. The area around the tub is then masked for protection. Three coats of Aliphatic Acrylic Polyurethane Enamel are applied to the surface. The tape and paper are removed. The area is swept and cleaned. 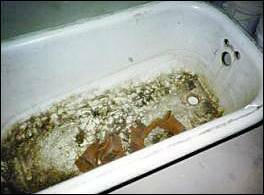 A bathtub can be refinished in as little as 3 hours, and it can be used in 24 hours. Senior citizens love it. Anyone who has difficulty with mobility will find it a dream come true. 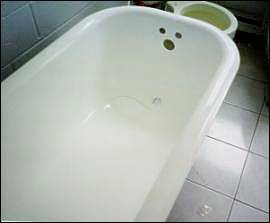 This truely amazing bathtub allows virtually anyone the benefits of a soaking bath or shower without the fear of slipping or falling. Designed for the person with mobility concerns, it's great for anyone. We offer a more economical choice, which uses your existing tub, and converts your tub into a step in shower. We sell bath chairs, hand rails, bath mats, and all bath accessories and safety items.